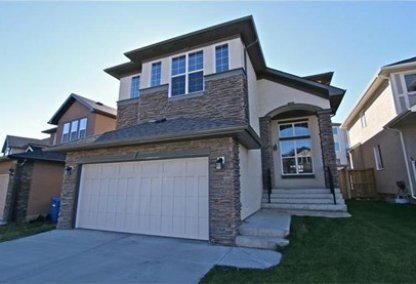 See today's Sherwood homes for sale & newest Calgary real estate listings below. The Sherwood Community is a new neighborhood of homes in the English countryside theme, in North Calgary. To learn more about Sherwood neighbourhood properties for sale or to schedule a guided home tour, connect with your Sherwood Calgary real estate team today. Sherwood housing market statistics: As of April 25, 2019 there are currently 35 properties for sale in Sherwood listed as active, with an average asking price of $487,613. The highest-priced property is $810,000; the lowest priced property can be purchased for $184,000. Sherwood neighbourhood listings have an average price of $270 per square foot, based on listings with 3.2 bedrooms, 3.1 baths, and 1,815 square feet of living space. Want to purchase a home in Sherwood? Contact your Calgary Homes real estate team, Justin Havre at RE/MAX First - 403.217.0003. Your neighbourhood Sherwood real estate agents and can help you find all Sherwood Calgary new listings. 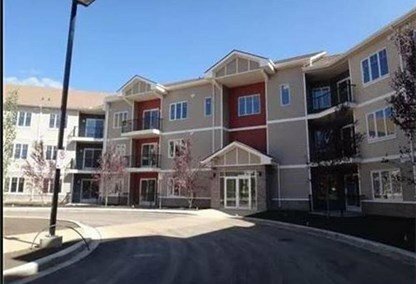 Homes in the Sherwood Calgary neighbourhood are available in a number of styles, including French Provincial, French Normandy, English Manor, English Tudor and English Cottage. Sherwood, a planned real estate community under the direction of the Genesis Land Development Corporation, is the winner of the New Community of the Year Award (2004) from the Canadian Home Builders' Association. The neighbourhood has a village feel, with quiet streets, playgrounds, and greenery. The Sherwood community does not lack for amenities. Nose Hill Park is nearby, with acres of prairie and paths for walking and riding bikes. Golfers enjoy the Hamptons Golf Course property, also in the area. The Sherwood Community Association publishes a monthly newsletter, The Sherwood Suburban Journal. Beacon Hill Centre is the local shopping centre, with Home Depot and Costco among many other stores. Sage Hill Crossing is being built close to Sherwood homes for sale and will have numerous retail shops and restaurants, as well as a hotel and movie theatre. Public schools that service the students of the Sherwood community include Ranchlands Elementary School, H.D. Cartwright Junior High, and Sir Winston Churchill High School. Thinking of buying or selling a home in Sherwood? Let our local real estate agents help guide you through the purchase of your next home, or to expertly negotiate the sale of your current home. As local Sherwood real estate agents, we're experts on the market dynamics unique to the Sherwood real estate market. We'll get to work for you today! Contact Justin Havre at RE/MAX First - 403.217.0003 to learn more about buyer or seller representation. Planning to sell your Sherwood home? Check out our free home evaluation, where you can instantly price your Calgary home price your Sherwood home online, in minutes!